The smooth transition from the Middle Ages to the Modern Age is conventionally fixed on such events as the Reformation and the discovery of the "New World," which brought about the emergence of a new image of man and his world. Humanism, which spread out of Italy, also made an essential contribution to this with its promotion of a critical awareness of Christianity and the Church. The Reformation eventually broke the all-embracing power of the Church. After the Thirty Years' War, the concept of a universal empire was also nullified. The era of the nation-state began, bringing with it the desire to build up political and economic power far beyond Europe. The Americas, Africa, and Asia provided regions of expansion for the Europeans. 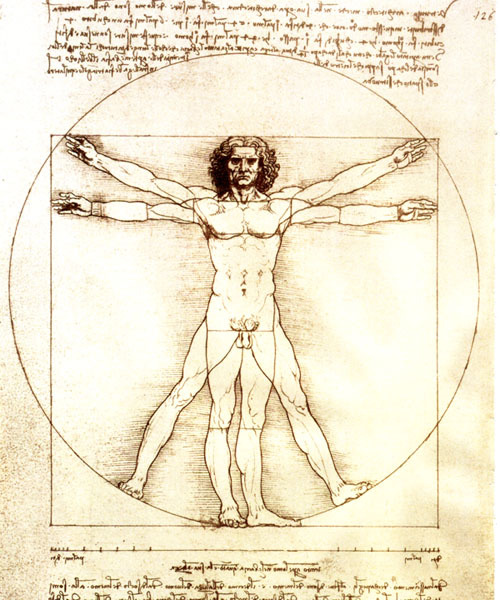 artists and scientists to the anatomy of the human body. A race began between the British and the French for the colonization of North America. It ended with the British claiming the area of the later eastern United States and the French pushing north. Canada was eventually divided between the British and the French. In the northeast of the present-day United States, emigrating Puritans and private proprietors and companies founded the New England colonies. In the 17th and 18th centuries, they won cultural independence and political confidence and resisted taxation by the British motherland. 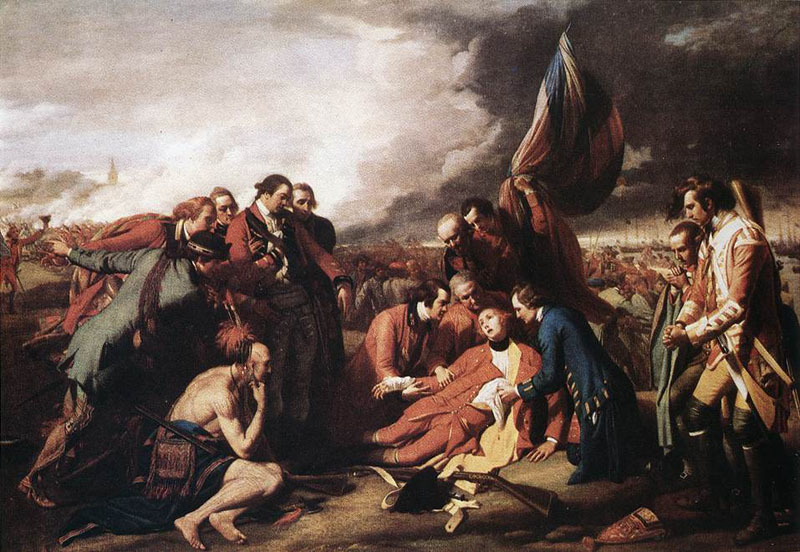 The conflict escalated into a war lasting from 1775 to 1783, defined by the United States' Declaration of Independence in 1776, and resulting ultimately in a new constitution for a federal United States of America. In the fight for colonial territory, French explorers pushed ever further north into Canada. The New England states united after 1765 in resistance against British paternalism. The French concentrated in the north of the North American continent. 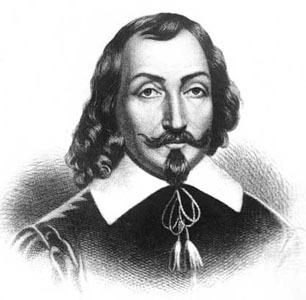 In 1603 the French officer 1 Samuel de Champlain, who initially set off to Canada as part of a fur trading expedition, began the exploration and settling of Canada. He founded Quebec in 1608. 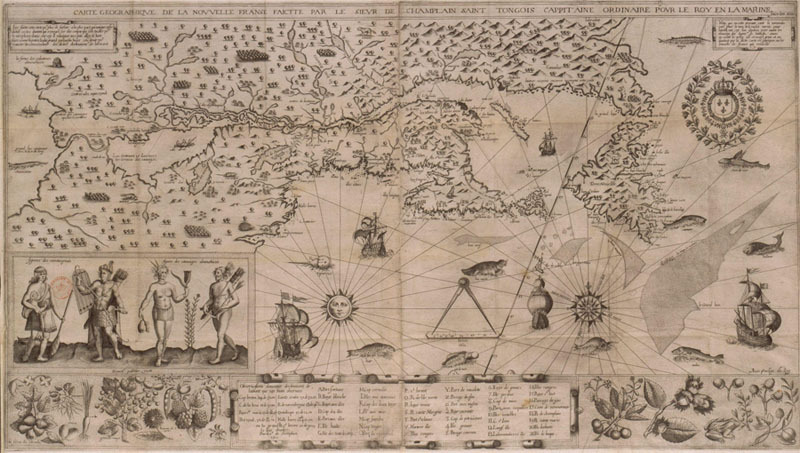 The area around the Gulf of 3 St. Lawrence was referred to as "New France." 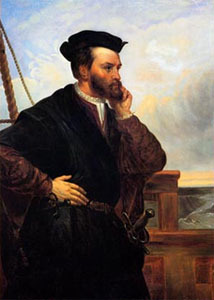 Jacques Cartier (1491�1557) was a French explorer who claimed what is now Canada for France. (Quebec City) and at Hochelaga (Montreal Island). French explorer, acknowledged founder of the city of Quebec (1608), and consolidator of the French colonies in the New World. He discovered the lake that bears his name (1609) and made other explorations of what are now northern New York, the Ottawa River, and the eastern Great Lakes. Champlain was probably born a commoner, but, after acquiring a reputation as a navigator (having taken part in an expedition to the West Indies and Central America), he received an honorary if unofficial title at the court of Henry IV. In 1603 he accepted an invitation to visit what he called the River of Canada (St. Lawrence River). He sailed, as an observer in a longboat, upstream from the mother ship�s anchorage at Tadoussac, a summer trading post, to the site of Montreal and its rapids. His report on the expedition was soon published in France, and in 1604 he accompanied a group of ill-fated settlers to Acadia, a region surrounding the Bay of Fundy. Champlain spent three winters in Acadia�the first on an island in the St. Croix River, where scurvy killed nearly half the party, and the second and third, which claimed the lives of fewer men, at Annapolis Basin. During the summers he searched for an ideal site for colonization. His explorations led him down the Atlantic coast southward to Massachusetts Bay and beyond, mapping in detail the harbours that his English rivals had only touched. 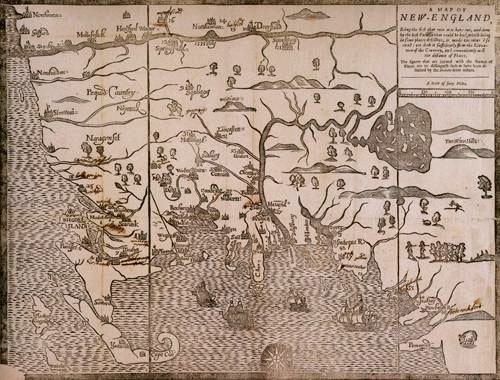 In 1607 the English came to Kennebec (now in Maine) in southern Acadia. They spent only one winter there, but the threat of conflict increased French interest in colonization. Heading an expedition that left France in 1608, Champlain undertook his most ambitious project�the founding of Quebec. On earlier expeditions he had been a subordinate, but this time he was the leader of 32 colonists. Champlain and eight others survived the first winter at Quebec and greeted more colonists in June. Allied by an earlier French treaty with the northern Indian tribes, he joined them in defeating Iroquois marauders in a skirmish on Lake Champlain. That and a similar victory in 1610 enhanced French prestige among the allied tribes, and fur trade between France and the Indians increased. In 1610 he left for France, where he married Hélène Boullé, the daughter of the secretary to the king�s chamber. The fur trade had heavy financial losses in 1611, which prompted Quebec�s sponsors to abandon the colony, but Champlain persuaded Louis XIII to intervene. Eventually the king appointed a viceroy, who made Champlain commandant of New France. In 1613 he reestablished his authority at Quebec and immediately embarked for the Ottawa River on a mission to restore the ruined fur trade. The following year he organized a company of French merchants to finance trade, religious missions, and his own exploration. Champlain next went to Lake Huron, where native chiefs persuaded him to lead a war party against a fortified village south of Lake Ontario. The Iroquois defenders wounded him and repulsed his Huron-Algonquin warriors, a somewhat disorganized but loyal force, who carried him to safety. After spending a winter in their territory, he returned to France, where political maneuvers were endangering the colony�s future. In 1620 the king reaffirmed Champlain�s authority over Quebec but forbade his personal exploration, directing him instead to employ his talents in administrative tasks. The colony, still dependent on the fur trade and only experimenting in agriculture, hardly prospered under his care or under the patronage of a new and strong company. English privateers, however, considered Quebec worth besieging in 1628, when England and France were at war. Champlain manned the walls until the following summer, when his distressed garrison exhausted its food and gunpowder. Although he surrendered the fort, he did not abandon his colony. Taken to England as a prisoner, he argued that the surrender had occurred after the end of French and English hostilities. In 1632 the colony was restored to France, and in 1633, a year after publishing his seventh book, he made his last voyage across the Atlantic Ocean to Quebec. Only a few more settlers were aboard when his ships dropped anchor at Quebec, but others continued to arrive each year. Before he died of a stroke in 1635, his colony extended along both shores of the St. Lawrence River. 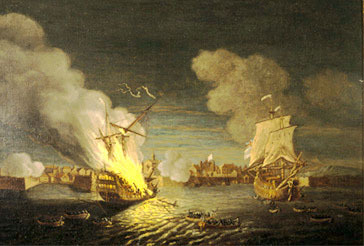 The defeat of France in the Spanish War of Succession led in 1713 to the Peace of Utrecht, which transferred Newfoundland, Acadia, and areas of the Hudson Bay to Great Britain. The attempt of the British to expand their control westward into Ohio led in 1754-1763 to a colonial 4, 5 war between France and Great Britain. In the Peace of Paris in 1763, which ended the Seven Years' War, France had to concede the rest of Canada, which later saw an influx of British loyal to the king. The legacy of this maneuvering is seen in the bilingual nature of Canada to this day. The Quebec Act (1774) recognized the validity of both British and French law in the recently acquired area, and the Canada Bill (1791) later split the territory into the predominantly English Upper Canada (later Ontario) and the French Lower Canada (Quebec). In the 1754-1763 war for the American colonies, known as the French and Indian War, the 2 New England colonies remained loyal to the British. However, economic power had strengthened their confidence, and the link to the motherland had grown weaker with each new generation of American-born colonists. To pay the debt that had accrued fighting France in North America, King George III attempted�against the advice of leading statesmen�to raise finances through an increase of taxes in the 13 American colonies. The colonies, however, demanded representation by their own delegates in the British parliament in exchange, which London was not prepared to grant. In other areas, too, the colonies saw their freedom being restricted. The high import taxes on all goods from the British motherland were particularly offensive and led to widespread boycotts. 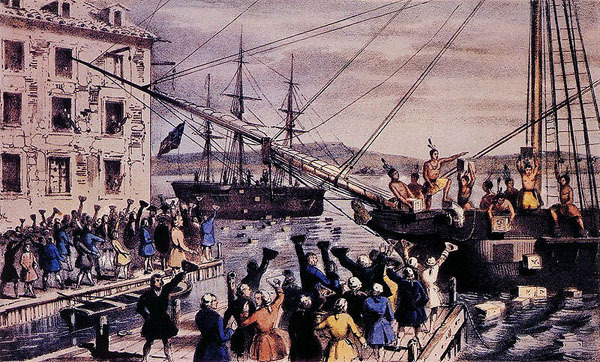 As an expression of protest, a group of colonists from Boston, Massachusetts, staged the 6 "Boston Tea Party" in 1773; dressed as Indians, they stormed British ships coming into Boston Harbor and threw their cargo of tea overboard. In response, the crown suspended the constitution of the Massachusetts colony. Armed conflict was not far off.